Deep Purple - Rockpalast 9. 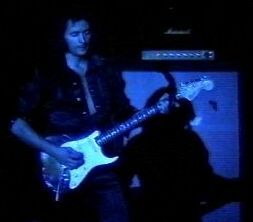 Juli 1985, Palais Omnisports Paris more Deep Purple Links! Rainbow DVD - Rockpalast Munich 77 - order at Amazon ! CD Ritchie Blackmore's Rainbow - Black Masquerade - order now at Amazon! Ritchie Blackmore's Rainbow - Memories in Rock - Live in Germany (+ Blu-ray) (+ 2 CD) [4 DVDs] - bei Amazon bestellen!